Learn how a tomato and 25 minutes gets you into flow every time. 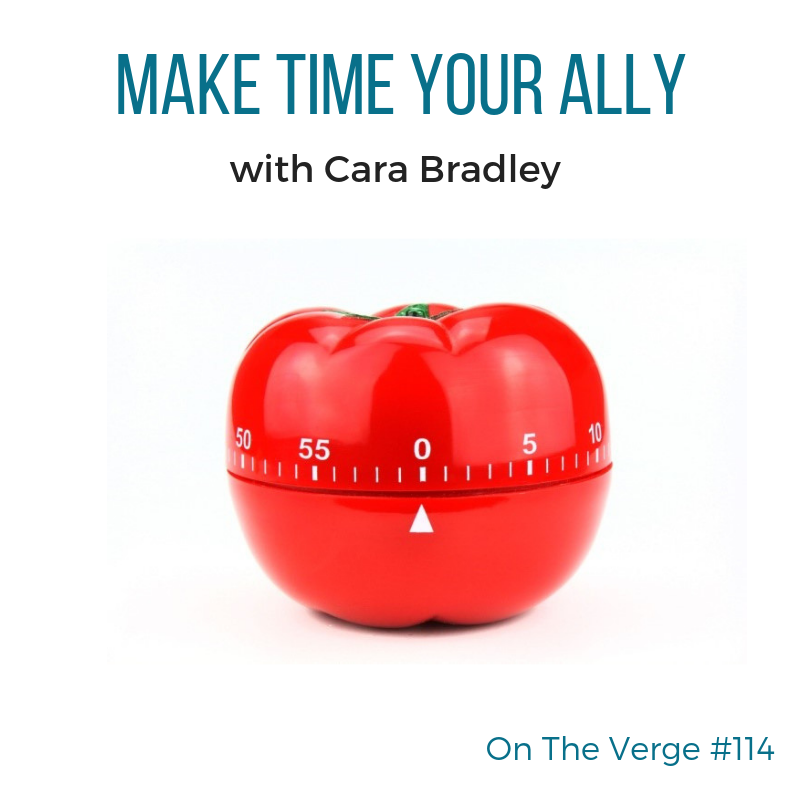 In this episode Cara talks about a powerful tool called The Pomodoro Technique also know as the Tomato Timer. (fun, isn’t it?). She explains how it has been a game changer in her life. In short, it’s helped her make time her ally and not her enemy. In other words, she’s learned to work with time, not against it. Furthermore and most importantly, she talks about how this simple productivity tool gets her into Flow. Listen for more. Here’s the gist. Set the Pomodoro Timer (or your phone timer) for 25 minutes. Work on the task until the bell rings. Every 4 pomodoros (or 25 minute increments) take a longer break for at least 20 minutes. However, here’s the challenge. When you are in a pomodoro (or a 25 minute increment) you are only focusing on your clearly stated task. That’s it. No cheating. The phone is off. Your social media is shut down. You are in it. Totally and fiercely focused. Love this podcast? Leave a review and help more folk wake up, show up and live in flow.